With every new city comes a new objective. Bogotá, Colombia’s capital brought two. The first of which was to regain possession of our bikes from Colombian customs. The second, remain focused and do not get trapped in Colombia’s outstanding party scene. Neither of which proved as easy as we had initially hoped. Landing in Bogotá just 10 minutes before our hostel’s party bus was due to leave for some Saturday night carnage got our Colombian experience off to a very nice start indeed. We quickly realised objective two was almost an impossibility. The bikes were being held by Girag, the freight company we used to fly them over the Darian Gap from Panama City and before they could release them, we had to acquire the necessary paperwork from Colombian customs to prove that everything was fine and dandy. For some reason the ‘Coffee Break Espanol’ podcasts I listened to in an attempt to learn some Spanish before arriving in Latin America didn’t cover clearing a motorcycle through customs, so this process always tends to be a little stressful for me. It took two full working days at the airport’s cargo office and so much photocopying that I could physically see the impact my visit to Colombia was having upon the Amazon before the bikes were released. Customs procedures have been the same the world over. What on earth can be done with all those sheets of paper and will they really ever be referenced again? Bizarre procedures I’ve come to realise I will never understand. Andrea pretty much single-handedly runs the show at the hostel we stayed at as well organising all of the hostel party events. She adopted the name of La Leyenda because of her eagerness to go the extra mile to help us out whenever we needed her. Her excellent sense of humour made her great company and her willingness to speak perfectly clear and slow Spanish made her the ideal Spanish teacher. We’d landed in Bogotá in the depths of the Halloween celebrations, a festival these guys appear to take very seriously and costume parties seemed to be taking place every day for an entire week. We always knew we were at risk to losing valuable time to nursing hangovers in Bogotá but we managed to escape after 7 nights and began the 500km ride North West to Medellin. Although her busy schedule in the hostel meant that we couldn’t spend a huge amount of time with her during our time in Bogotá, we were lucky enough to be blessed with the company of La Leyenda during our time in Medellin as we had conveniently timed our visit there with her vacation from work. It was excellent to spend time with her. As far as I’m concerned, Medellin really can be classified as one of the greatest cities this world has to offer. It’s fusion of European style squares and restaurants with the vibrant Latin American characters of its people make it a place I would choose to live at the drop of a hat. Another outstanding party scene meant that one week later we were questioning what on earth had just happened for the previous 7 days. Words will never do as good a job as this video clip below to explain how we managed to lose that week in Medellin. This Sergio Mendes track quite literally set every single Colombian dance floor on fire every time it was dropped. Not too shabby eh? A nice little taster of the film we hope to compile on our return to London. Seriously, if you’re planning a trip around this region at least double the amount of time you have already given yourself for Colombia. You will not regret it. The one morning we did manage to wake without too much of a painful hangover, Senorita Leyenda insisted that we visited Guantape, a unique rock formation offering some incredible views. The hostels in Central and South America have always been good enough to find a safe place for us to park the bikes during our stay. Our hostel in Medellin was no exception and we rode the bikes in to the locked compound and parked the bikes up on the football court out the back. Despite believing that everything was fully secure, every single tool that we owned was stolen off the back of Jon’s bike during our first nights stay. It was a gutting moment when we discovered what had happened but despite there being a sign up stating that the hostel will not be responsible for any stolen goods, the Irish owner of the hostel was genuinely disappointed when he realised this had taken place from within his own hostel. He insisted that he took us out the following day and replaced absolutely everything that had been taken. He also refused to charge us for the nights we spent in his hostel. A very kind gesture that will never be forgotten. Fearing that nowhere could possibly top Medellin, on the 13th November we reluctantly packed up and said our goodbyes to Andrea and the others we had met there and headed south to the Ecuador border. During the pack-up I found a bag of Daz washing powder I’d bagged up weeks earlier and completely forgot about right at the bottom of my bag. I don’t know how this made it through the Colombian customs checks without raising any questions. We knew it would be at least a two-day ride given our late departure after saying our goodbyes, with a stop over wherever we found ourselves shortly before sunset. The first day was relatively uneventful with little to report although progress was painfully slow due to the volume of traffic on the mountain roads. We ended up sleeping in a tiny little mountain town, which judging by the reaction of the locals had seen very few foreign riders pass through. Reluctant to cross the border late in the afternoon, we’d agreed to aim for a town called Pasto that day and cross at first light the following morning. We’d been having a decent day. The traffic was much lighter than the previous day and the road provided some excellent views. We were no more than 80km short of our destination when the afternoon took a nasty turn and I had a high-speed off. I can’t be sure what happened during the moments before it occurred, perhaps my mind had slipped back to the girls of Medellin as it had done so many times previously that day but I found myself in a deep water ditch on the side of the road at around 60 or 70mph. As I was just about feeling like I had re-gained control again, I hit a huge concrete block which sent me and the bike flying. It was the only concrete block in sight so it was an unfortunate place for me to find myself wrestling with the ditch. It was a big old drop on the right hand side so thankfully the barrier stopped me from going any further. After picking myself and the bike up, it was obvious that the damage to the bike was severe. There was oil and water all over the place. My sump guard had been completely ripped off and the block had penetrated all the way through the frame and the crank case. It really wasn’t looking good. The Forcefield body Armour took the brunt of the impact for me and short of a few cuts and bruises and being a little shaken up, I was OK. I had no idea what to do. My bike seemed to be a complete write-off and there was minimal passing traffic to offer any assistance. I was absolutely gutted and convinced it was the end of the line for the bike which had very nearly taken me around the whole world. 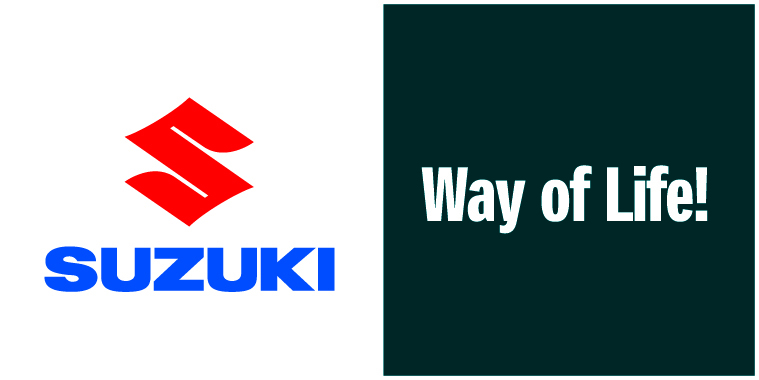 All the work that had gone in to it, all the support we had received from Suzuki and various other companies and it was all completely over in an incident lasting no more than a few seconds. I was devastated. We flagged down all of the passing trucks and large vans that passed by to see if they were able to stick me and the bike in the back to get us to Pasto but they all seemed to be full of goods which they were taking over the border to Ecuador. I pushed the bike further up the mountain to a group of 3 small shacks where we sat for hours just hoping that someone would turn up. Sun was setting and we were discussing our options. The locals we sat with made it clear that it’s not a safe place to be after dark and the chance of somebody passing after sun set who will be able to help was minimal. The options we were left with were to ride two up on Jon’s bike to Pasto where we knew we could get checked in to a hotel and perhaps find somebody to return with us the following day to pick up the bike. That is of course, if the bike was still there. There was no way we could put two lots of luggage plus two people on one bike so we would only be able to take the valuable stuff with us and hope that the other stuff was there on our return. Far from ideal. Our only other option at that stage was to sleep next to the bike and wait for sunrise to see if we could get help then. Again, far from ideal but at that stage, it looked like the best option. We’d pretty much given up hope on finding help that night and had resided to the fact that we would be pitching up the tents next to the road when we heard the noise of an engine climbing up the steep hill towards us. When we realised it was a pickup truck with no load in the back I jumped out in front of it and explained my story to the driver, a character who was about to play a key role in the success of this Tough Miles mission, Ariel Moran! Despite the bike still heavily leaking oil and water, once Ariel heard about my situation he was more than happy to get it strapped up in the back and cleared a space for me in the passenger seat. Yet another incredible stroke of Tough Miles good fortune. After driving a good 20km or so with Brookbanks following behind, it was clear that Ariel was a genuinely nice chap who was going to do everything he could to help us out. He knew we had a long day and insisted that we stopped for a bite to eat and explained how a Colombian coffee could make the situation much better. In fairness, he wasn’t wrong. After we’d finished up in a restaurant on the side of the road, he drove us to the center of Pasto and directly to a mechanic known locally as the Maestro. Ariel was not wasting any time. He knew we needed to get back on the road and was going to do everything he could within his control to make sure that happened as soon as possible. The Maestro’s workshop was no bigger than my old bedroom in London but he seemed confident that he was able to help. He parked my bike up in the car park opposite and told me to be back at first light. Ariel then drove us on to a hotel just further down the road were we both passed out pretty much immediately. First thing the following morning, The Maestro was hard at work seeing what was possible with the damaged bike. It was clear that the crank case had taken a major impact and Jon and I really couldn’t see that bike leaving Pasto any time soon. The Maestro made it clear that sourcing parts for a DRz in Colombia was difficult at the best of times never mind from the small town of Pasto but he did also make it very clear that he was confident he could work with the damaged parts to get the bike up and running. I liked his optimism but the task we had set him was no minor job. Despite having full confidence in his ability, I really wasn’t sure if the damage was repairable without sourcing new parts. We’d contacted our Suzuki lifeline who immediately jumped on grouping the parts we needed together in the UK but from what we had read online, Colombian customs were likely to hold on to the parts for up to 20 days. After all the time we had spent partying in Bogotá and Medellin, that was time we simply did not have. We also looked at the option of buying a new engine or even a new bike in Colombia but again, from the info we had found online, registering the bike in my name could be a lengthy process in itself and that was only after we had found a suitable bike. Without the necessary paperwork crossing the other South American borders would no doubt either involve hefty bribes or may not even be possible at all. It was important at least one of us made it all the way down to the bottom of Argentina to complete the mission so we decided to give it until the 25th November before Jon would have to ride on solo. I would then do everything I could to get back on the road and see if I could eventually catch him. This option was far from ideal. Jon doesn’t speak any Spanish and the risk of him having an accident or major break down in the middle of nowhere alone was clearly not a nice thought. During the course of the next 7 days, we watched the Maestro perform some wizardry neither of us believed would ever be possible. Within hours on the first morning the bike was on its side and the damaged part of the frame was cut out. The next job was to repair the magnesium clutch housing cover. He had it sent to a local specialist whilst he worked on a fix for the crank case itself. Without welding equipment in his workshop, Maestro relied on a welder further down the road to botch up the crank case. The welder requested that the engine was dropped out of the frame before any welding could take place. Maestro quickly got to work and within no more than an hour or so the engine was out and in between his legs on his scooter as he tootled off down the road to hand it over to the welder. Unfortunately, due to a backlog of work, it was the welder who held up this process and my engine was simply dumped in a queue. Pasto had little on offer for us to kill time whilst we waited for the welder to jump to it and we found ourselves eating in the same chicken restaurant, Mister Pollo, twice a day everyday we were in town. It rained every day and the Tough Miles spirits were at an all time low. This, however, is where Ariel stepped up to the challenge of being a Tough Miles Skipper remarkably well. Before we knew it he had us out nailing bottles of rum until the early hours of the morning and looking like a couple of idiots trying to dance salsa in an attempt to forget about the situation with my engine. Just what the doctor ordered. After waiting the course of a weekend, bearing in mind EVERYTHING shuts on Sundays in Latin America, the welder then dropped more bad news on us. He was unable to weld the crank housing up whilst the engine was still in one piece as the vapors from the oil were effecting the quality of the weld. He insisted that the engine was completely stripped before he could attempt another weld. It was yet another wet afternoon in cold and windy Pasto when we received this news and we both really started to doubt if a fix was possible. We would be relying on Maestro to completely pull the engine apart, then relying on the welder to seal the crank case and then back to the Maestro to completely rebuild the engine. We had no choice so we had to agree to it. Within minutes Maestro had his apprentices step to it. Like lions to a kill my engine was torn into a hundred pieces and spread all over the workshop floor. I could barely watch. I thought that was officially the nail in the coffin and my DRz was officially over. The crank case was then back between the Maestro’s legs on his scooter and straight to the back of the queue at the welders yard. When we finally received the parts back the results looked reasonably promising and the Maestro was absolutely adamant he could have the engine rebuilt in no time. The damaged part of the frame had been replaced by welding in a new piece which had been bent to the perfect shape and even included an engine mount which exactly mirrored that of the original and within an afternoon the engine was completely rebuilt. It seemed the guys had really managed what they promised they would do. Maestro and his team had performed an incredible job and by day 215, Thursday 22nd November the bike was up and running and ready for its first test ride to make sure everything felt OK. Other than the kick-start spring being seated in the incorrect position causing a nasty noise, the bike felt as good as new. Once this had been addressed, the following morning we were packed up and ready to give it its first serious ride. After our goodbyes to the Maestro and his team it was onwards to Ecuador to see how far this repair job really would make it. Maestro and his team had turned a bike around which in the U.K. would be dismissed by an insurance company as a complete write-off. All this labour came in at just £170 GBP. Unbelievable. We owe so much to Ariel for pulling over and offering to help us that day. Without him my trip could have ended right there and then in Pasto. Other than the promise that I would send him a Beatles CD on my return to the U.K., Ariel wanted absolutely nothing in return. Ariel, thank you so much! Whilst on the Baja California peninsula in Mexico, we met up with two other riders from the States known as the Enduro Bros. They were also on a mission to Argentina on a similar time scale and after they stopped for a short stint of volunteering their plan was to catch us up so we could ride four strong. Just 7 days after we had left Pasto with the newly repaired bike we received a Skype call from one of the brothers, Aaron informing us that his brother Nathan had had a serious fall and completely shattered his leg. Unbelievably we later realised that he crashed in pretty much exactly the same place as I had just outside of Pasto. They too had to endure day after day of Mister Pollo whilst Nathan underwent serious surgery to insert metal pins into his leg. It was only at that point I realised just how grateful I am that this trip can go on. The bikes feeling good. Time to keep drifting. Next stop Ecuador. If you’ve enjoyed following our blogs and can spare a few pounds for an excellent cause, please click here to help us reach our target. A huge thanks to all of you who have already donated. Youse guys are officially blessed by the gods. Great blog,,, keep it up. Got a little RT from Motorcycle News for ya! Well done for raising the 5K and have a safe trip home. I’ll buy you a pint when you get to London. This is just another (amongst many!) unbelievable story from ToughMiles, always managing to pull something special out in the middle of nowhere! Thanks Oli……not sure crashing in Colombia is pulling something special out in the middle of nowhere, but what the Maestro did was simply incredible! The Junior Bro is still undergoing surgery. I really feel for those guys. They made a cracking team! Great blog boys. Glad you’re both still in one piece – someone is smiling on you and I don’t mean that little chica in the black and gold! Haha, what er you saying Pagey?! Didn’t you think me and the scousa could do it? We might have a crash here and there, well Pete might, but we won’t stop till it’s done and dusted!! I enjoy reading your blog so much ( book material surely ? ). You really are tough guys!! It’s heart warming to hear of the people that have helped you out along the way. Wishing you both a continued safe journey. Thanks Ken, very kind words! Glad you enjoy our efforts at a blog….there’s plenty more stories to come….and who knows, maybe we’ve saved some juicy gossip 😉 It really is amazing how many people have helped us out along the way, we just can’t believe it. Gracias Ariel, eres una Tough Miles leyenda! Utterly epic guys. Developing-world back-yard mechanics can fix ANYTHING! Glad to hear you’re back on the road and no one was hurt. Really looking forward to that final compilation video. Enjoy the last few weeks. Cheers Jon, the work Maestro did really has been an inspiration to me! My old man will be cursing the Maestro when I get home and start tearing my old motorbike apart in his garage. Still a lot of work to do on the blog before we start considering video footage!